Here are 10 natural and best beauty tips for a glowing skin all year round! ‘Beauty is skin deep’, a phrase we have heard time and again. And most certainly it is. Irrespective of what color your skin is, but if it is clean, clear and glowing with health, you are sure to get more than a second look, wherever you go. A beautiful and healthy looking skin is something we all desire, but very few take the pains to achieve. Is it really that difficult? No, it isn’t. Just follow some simple rules in your daily routine and voila, you would be the one turning heads for that flawless skin! As plants wither without water, so does our skin. The most important part of our diet as well, water nourishes the body inside and outside. The amount of water that goes in reflects outside as well. Proper and adequate intake keeps the skin hydrated, makes it supple and look younger. Drinking lukewarm water cleanses the system and gives the skin the radiance and look we crave for. So go for it ladies, a minimum of eight glasses of the life-saving elixir, called water. Most often we tend to take our skin for granted. We do not clean it as much as required. The pollution and the dirt plus the makeup that we wear, requires proper and efficient cleaning up. It doesn’t mean you spend hours on this job. Before you retire to bed, cleanse your face with an effective cleanser to remove the day’s dirt and grime collected on the facial skin. After cleansing the face, use a good toner. It is an essential step of he CTM routine. It helps in reducing the pore size and eliminating dead cells that make the skin dull. It clears the skin from within and contains further breakouts and blackhead formations. The last and most important part of CTM, it is essential to moisturize your skin as cleansing and toning leaves the pores open. 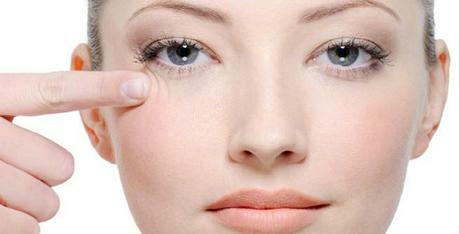 Regular use of moisturizer keeps the skin young and wrinkle free. 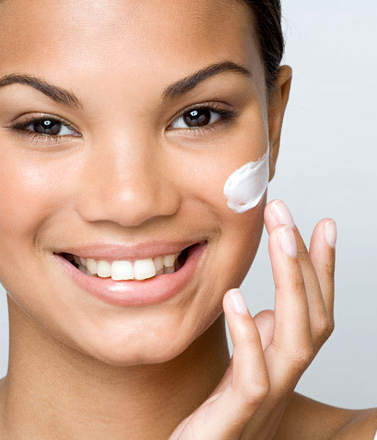 It is better to divide your moisturizer into day and night cream. Before using the night cream, using serum nourishes the skin, giving it that extra glow. If you have dry skin use a heavy moisturizer and if it is oily then go for an oil free moisturizer. Puffy eyes, blackness under the eyes, tired eyes or crow’s feet – any of these can bring down the health quotient of your skin. A good eye cream can work wonders. Proper rest and sleep is also essential for skin under the eyes. Good quality chemical-free cosmetics are extremely important for a glowing flawless skin. Regular use of chemical laden products can harm the skin in the long run and most of the time the damage can be irreversible. Before picking up any cleanser or moisturizer or any face cream, read up the list of ingredients to ensure there are no chemical contents. Using a good sun block is another important part of your skin care regime for that healthy glowing skin. 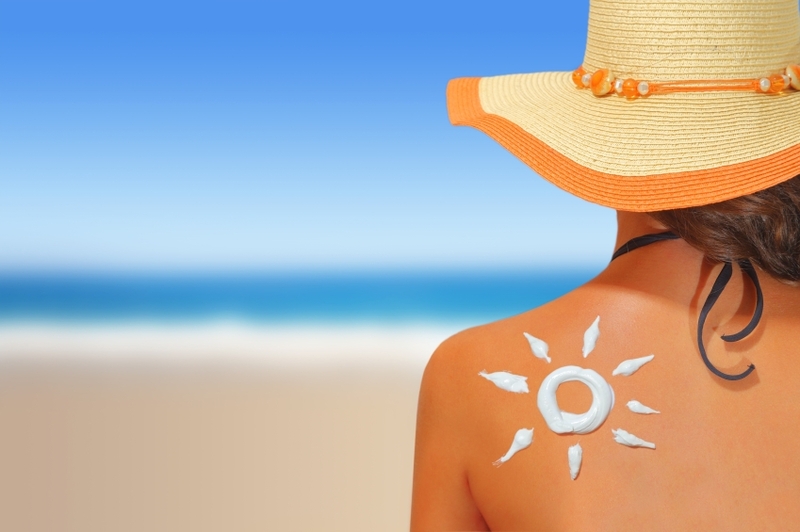 Exposure to harsh sunlight can tan and damage the skin. Apart from using sunscreen, covering your head with a scarf or carrying a parasol is a simple and cost-free way of protection against the sun. A healthy balanced diet throughout the day ensures that your skin glows from within as well. Irregular meal timings, binging on fried and sugary stuff, crash dieting wreaks havoc on the skin. Ensure that fruits and greens are an essential part of your meals. Food rich in Vitamin A, Vitamin C, Omega-3 fatty acids, zinc, iron and fibers are a must to achieve a healthy skin. Never compromise on the eight hours of sleep required for the overall well being of your health. Your beauty sleep directly impacts the health of your skin. Taking a nap sometime during the day also relaxes the mind and body. Sweating it out actually gives your skin the desired glow. Make any form of exercise an essential part of your daily schedule. Aerobics, swimming, yoga or just simply brisk walking will work wonders for your skin along with your overall health. So go for it girls, make these small changes in your daily life and be the one with that glowing skin. Neighbor’s envy and owners pride! !